'Palestinian National Council' calls on EU to reject Israeli report on close BDS ties to terrorists and terror organizations. The 'Palestinian National Council' called on the European Union to reject the Israeli "Terrorists in Suits" report, calling the report a "campaign of incitement, propaganda and intimidation against Palestinian and international human rights organizations run by Israeli officials." The chairman of the PNC, Salim Zanoun, sent letters to the chairman of the International Parliaments Union and the European Parliament chairman following the report by Israel's Ministry of Strategic Affairs and Public Diplomacy under Minister Gilad Erdan, which revealed over 100 links shared between the internationally-designated terrorist organizations Hamas and the Popular Front for the Liberation of Palestine (PFLP) with at least 13 anti-Israel BDS promoting NGOs. "The Ministry of Foreign Affairs and Expatriates of the State of Palestine reiterates its resolute condemnation of Israel’s, the occupying power, ongoing attempt to silence, delegitimize, and de-fund Palestinian Civil Society Organizations and Human Rights Defenders through its recent so-called “Money Trail” report published in January 2019," the PNC stated. The PNC further claimed that "the report is an attempt by Israel, the occupying power, to silence peaceful protest against the occupation and to exclude human rights organizations from European funding whilst smearing local activists who work to monitor, act against violations of human rights, and provide information and analysis concerning the humanitarian crisis in the Occupied Palestinian Territory to the international community. Reprehensible behavior, as such, aims to cripple democracy, diversity and accountability of crimes and grave violations of human rights. It would threaten the advancement of human rights in the State of Palestine and beyond by further enabling violators of human rights to continue their violations with impunity." "Palestinian and international civil society organizations play a major role in paving the road for justice, respect for human rights and the rule of law in the Occupied Palestinian Territory. It is a duty of States to support Palestinian civil societies in line with state responsibility to ensure respect for international law, particularly when it comes to promoting fundamental freedoms and human rights. "Finally, the State of Palestine calls on the international community, especially Member States of the European Union (EU), to support the human rights of Palestinian people, including in regards to the escalation of systematic and widespread Israeli-led attacks against Palestinian human rights and international human rights defenders and civil societies." The report presented by Minister Erdan found that despite the statements made by High Representative of the European Union for Foreign Affairs and Security Policy Federica Mogherini, and contrary to their official policy, in the years 2018-2017, EU bodies provided over €5 million in funding to ten Palestinian Arab and European organizations promoting boycotts of Israel. Among these ten organizations are two Palestinian organizations: Al-Haq, which received 297,000 Euros, and Al-Mezan, which received 450,000 Euros. 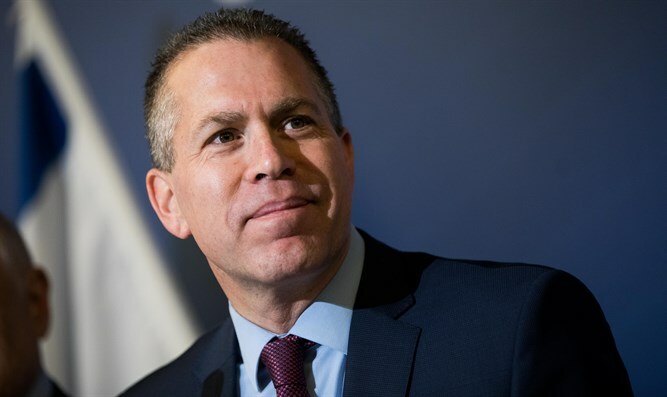 Erdan called on European leaders to cut all ties with the BDS movement and groups supporting anti-Israel boycotts, and to cease funding organizations that violate its stated policies. "Terrorist organizations and the BDS campaign have united in their goal of dismantling the Jewish state, with the former viewing boycotts as a complementary tactic to their armed attacks against Israel. Following the exposure of the ties linking boycott organizations to the terrorist groups, I urge the governments of Europe to rethink the legitimacy and stop the funding they provide to Israel-boycott organizations."